Treatment tables have been a part of medical science since ancient times. One can see the presence of these tables on frescos that depict ancient healing centers of the world. Modern science uses this technique even today with few alterations from the past. What is a Mat Treatment Table? Basically made of hard wood or steel, a mat treatment table is covered on the top with a thick foam layering, mostly 2 inch in thickness. It is lower in height when compared to regular tables and specially crafted to support weights up to 600 lbs. 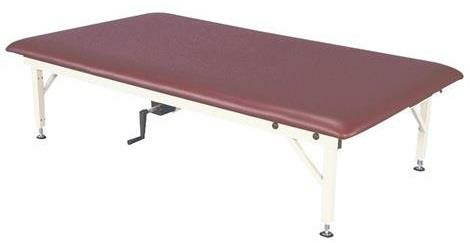 Manual techniques such as deep tissue massage, myofacial release, joint manipulation, and stretching exercises can easily be carried out on this physical therapy table. Enabled with durable and strong construction, it has a stylish design and adjustable height. Armedica Adjustable Mat Table is designed to provide a dependable solution to users for years. A section steel mat platform rests above four legs and features a Hi-Lo function. It can be manually adjusted with a fold away handle. Sustaining about 900 lbs., the height can be adjusted to a height of about 20" to 30". It provides elegance in practical designs and a natural wood finish that adds to its attractiveness. Armedica AM-670 is a full size treatment table with a fixed height of 18" that accommodates patients of different age groups. 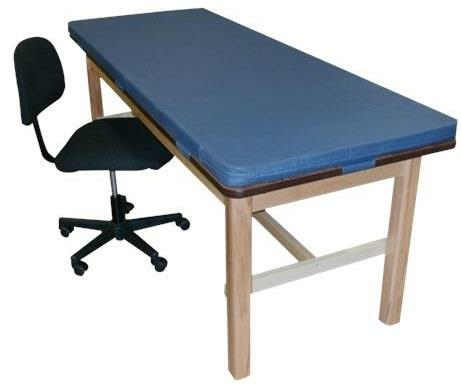 This physical therapy mat table can be folded and attached to the wall when not in use. Armedica Fixed Height Table is a full size treatment table that provides elegance in practical designs. This mat platform table has a fixed height of 18" and a weight capacity of 500 lbs. The natural wood finish adds to its attractiveness and 34oz heavy-duty vinyl provides bacterial protection. With strong construction and adjustable height, this platform treatment table offers a dependable solution to users. Armedica AM-643 has a two piece top with adjustable backrest and features a manual Hi-Lo function. Adjustable backrest is 29" in length and easily rises up to 80 degrees with the help of a gas spring assist. The backrest locks in any position we deem fit. Designed and tested therapeutically to offer work surfaces that are rigid, durable and comfortable, Bailey H-Brace is constructed of strong hardwood and birch plywood, accompanied with an excellent natural finish. The English Oak laminated top features radius corners for safety and comfort. Included removable mat attaches by hook and loop. Can sustain up to 300 lbs. Mat medical treatment tables boast of a strong construction that has allowed them to stand the test of times and be popular even today. The elegant design and attractive finish of these physical therapy furniture is what makes them so comfortable and user-friendly. 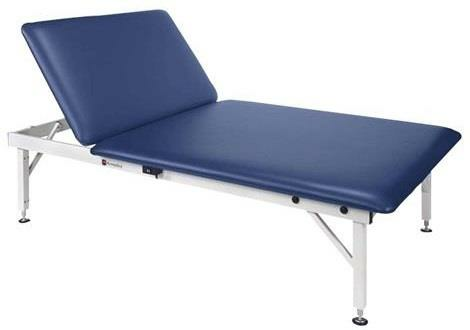 They are durable and very easy to maintain, making them cost effective medical treatment tables.